A high PC piracy rate means free-to-play is the way Ubisoft intends to make its profits. Ubisoft CEO Yves Guillemot claims that the percentage of people who bother to pay for their games is such that it makes as much sense to go free-to-play as it does to sell boxed product. According to his figures the PC piracy rate is 93-95%, which means that the same amount of people pay for their boxed game - about five to seven percent - as contribute in a free-to-play model. Given that fact, there's no sense in hanging on to a physical product business model when boxed games are more expensive to produce and ship. "[Free-to-play is] a way to get closer to your customers," said Guillemot, "to make sure you have a revenue. On PC it's only around five to seven percent of the players who pay for F2P, but normally on PC it's only about five to seven per cent who pay anyway, the rest is pirated." But the free-to-play players put in money over the longer term, where purchasers of boxed product contribute only once, at point of sale. 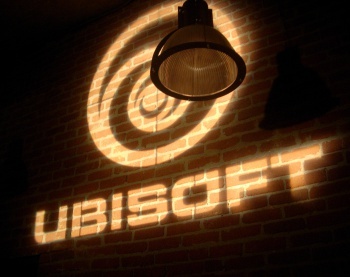 For Ubisoft, this means that the free-to-play community is more capable of funding expansions and in-game extras. Plus, it's cheaper to distribute free-to-play than it is to manage all the headaches of physical product; lower costs and extended revenue streams are the things manufacturers dream about. It also helps that free-to-play reaches outside markets. "The advantage of F2P," Guillemot says,"is that we can get revenue from countries where we couldn't previously - places where our products were played but not bought. Now with F2P we gain revenue, which helps brands last longer." Guillemot is keen to see what the new generation of consoles will add. Perhaps, he says, next-gen console gaming will bring innovation to the market, but developers like Ubisoft have been waiting for too long for this to happen. Until then Ubisoft will be looking more closely at free-to-play as a business strategy, and given the piracy numbers quoted it's easy to see why.